Popplio in game: 4,580 Who? Important notice! 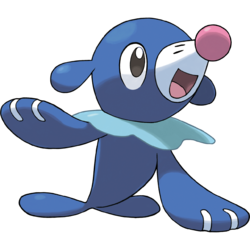 Pokemon Popplio is a fictional character of humans. Popplio (Japanese: ???? Ashimari) is a Water-type Pokémon introduced in Generation VII. It evolves into Brionne starting at level 17, which evolves into Primarina starting at level 34. Along with Rowlet and Litten, Popplio is one of three starter Pokémon of Alola available at the beginning of Pokémon Sun and Moon. Along with Rowlet and Litten, it was the second Generation VII Pokémon to be revealed to the public on May 10, 2016. Lana has a Popplio which first appeared in Alola to New Adventure!. Professor Kukui owns a Popplio that first appeared in the Sun & Moon chapter. Moves marked with a superscript game abbreviation can only be bred onto Popplio in that game. Popplio may be based on a sea lion. 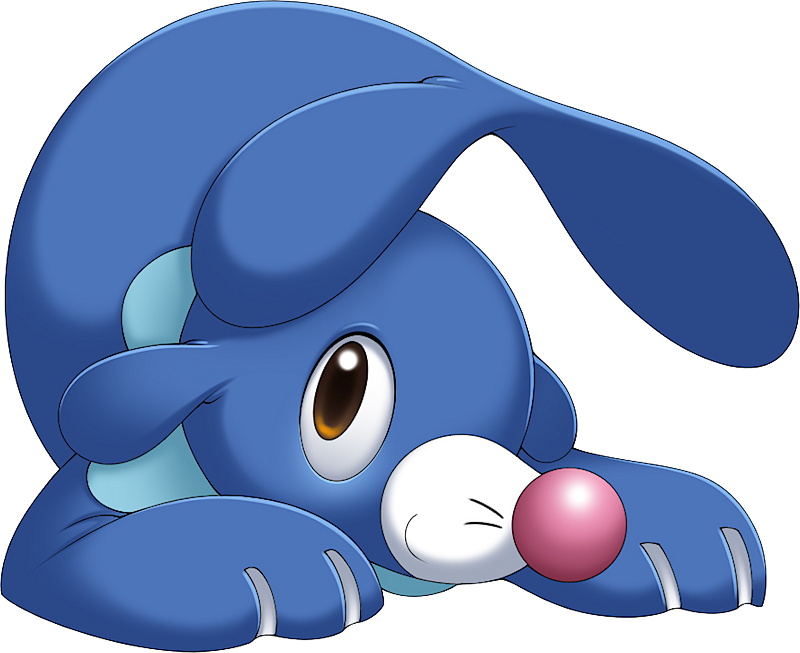 Popplio may be a combination of sea lion pup, pop, popo (Hawaiian for ball), and ‘ilio-holo-i-ka-uaua (Hawaiian for the Hawaiian monk seal; meaning "dog that runs in rough water"). Ashimari may be a combination of ?? ashika (sea lion), ? mari (ball), and marine.